Thank you so much Nutrien for inviting me back to speak to another group of your staff! 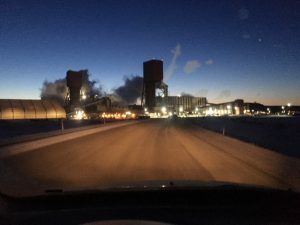 I was fortunate enough to be here last December with the management group and luckily, I am back again in Rocanville, Saskatchewan. Working at the mine in this part of the world is a very good job. Sometimes we forget that where we work is someone else’s dream job. Let’s be grateful today for the job that we have.